Run by some the friendliest people you will ever meet, who volunteer their time at the zoo, I would highly recommend this informative, interesting tour. Check with the zoo for the days the walk operates, as it is dependant on the time of year. If you are visiting the zoo that day, the walk through will only cost you $15. Choosing to only be there for the walk, brings the price to $25, which I personally felt was reasonable and worth it. Starting st 6:45am, volunteers divide you into groups, before setting off on your walk, which will take you to some behind the scenes areas, not generally accessible to the public. 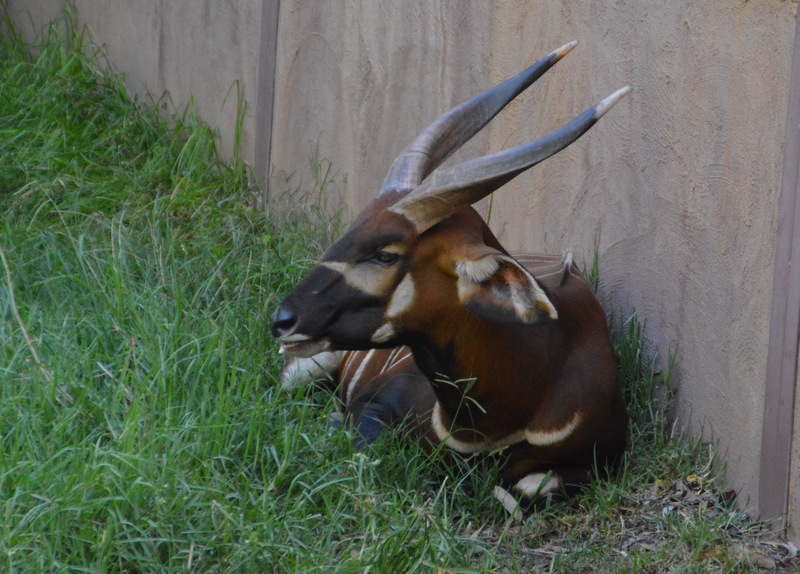 Fences are minimal, with the main focus on wet or dry moats to contain the animals in their designated areas. Commencing with the monkeys on the islands, in front of the main building, we then headed off to the wild African dogs. The dogs however were enjoying a lazy morning sleep in and felt our visiting their enclosure, was not worth rising for. Ruler of all he surveys. 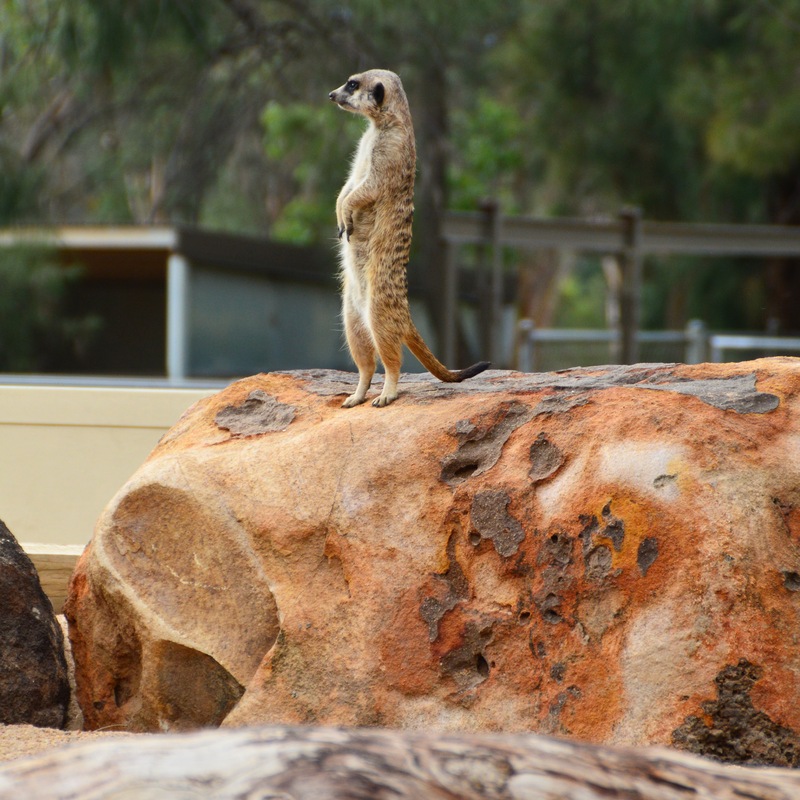 One cannot but be anything other than fascinated with these mesmerising meerkats. Always busy, stopping only to stand guard and survey their territory, you need to be quick to photograph them whilst still. No sleep in for these guys, they love attention! 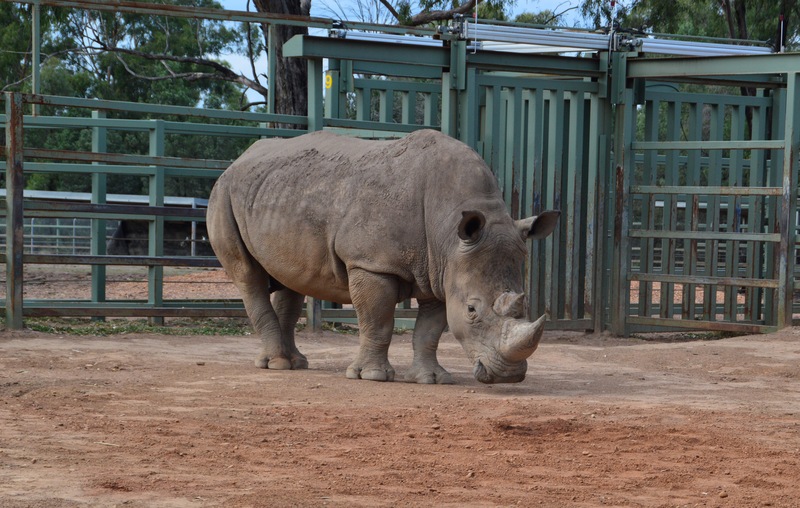 Dubbo Zoo is world renown for its successful breeding program, with their main focus on rhinos. This white Rhino, was still in his night pen, not yet having been released for the day. He was interested in seeing why we were there, coming right up to his front fence, maybe in the hope we were bringing breakfast. 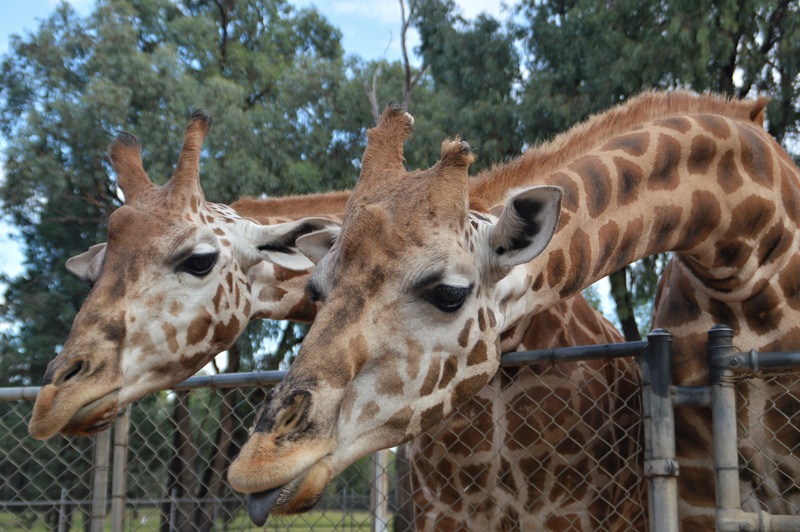 Directly opposite the whole rhino, were a couple of gorgeous giraffes. Our volunteer tour guide, had some cut up carrots for these majestic creatures, which they were obviously expecting. After casually strolling their way to the fence, long tongues were extended to gently take the carrots offered to them. Over in the back paddock, we could catch glimpses of the metre high baby, born on New Year’s Day 2016. Not even one month old yet, but taller than most people. The tallest animals on this earth, were then followed by the most dangerous, the hippos. 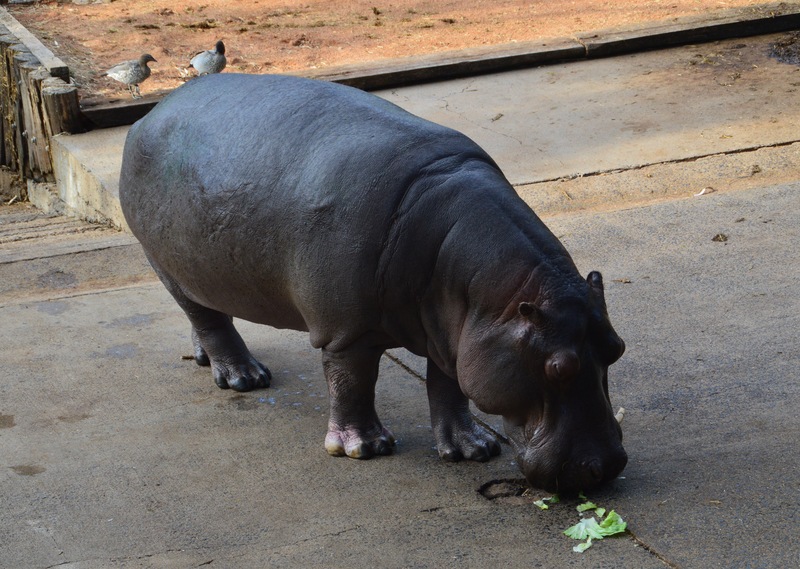 After some encouragement, the smaller hippo decided he would exit the water to enjoy the lettuce thrown into his pen. The ripples in the water changed to show two eyes, before the whole hippo slowly emerged. Making his way up the ramp towards the lettuce, his slow moving hefty body, appeared to take a lot of effort to move. The end result though, was very much enjoyed! Leaving the hippo to enjoy his treat, we stopped in on couple of antelope varieties as as well as some show off monkeys. Delicate, curious and with gorgeous markings, the gentle creatures below were a delight to watch. 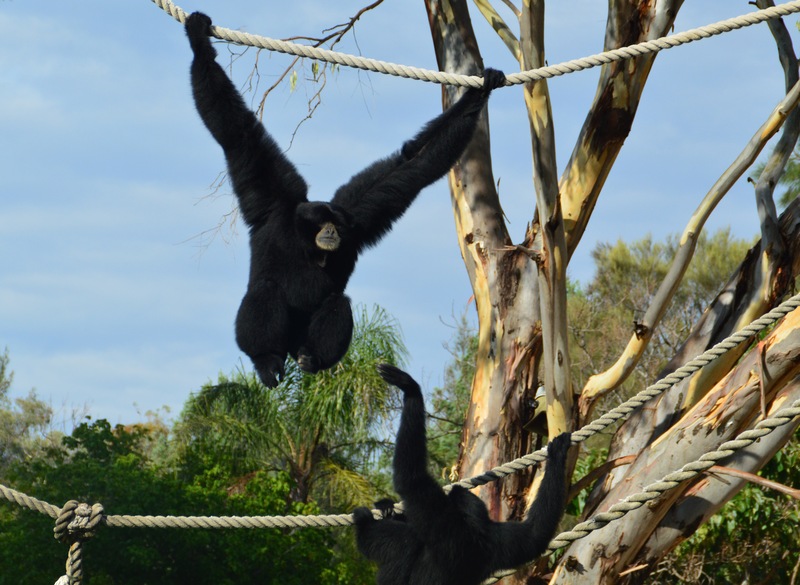 Monkeys are always fascinating, swinging from rope to branch with effortless see, dangling off one arm, whilst soaking in the appreciation of their captivated audience. This father was running his young son through some moves, with the youngster doing an excellent job of keeping up, not letting the odd slip up phase him at all. Our guide provided an interesting background on the zoo and its inhabitants. More than willing to answer questions along the way. These volunteers should be commended for the time they put into the zoo. Without their hard work and dedication, the opportunities for the public to experience the wonders within the zoo, would not exist. 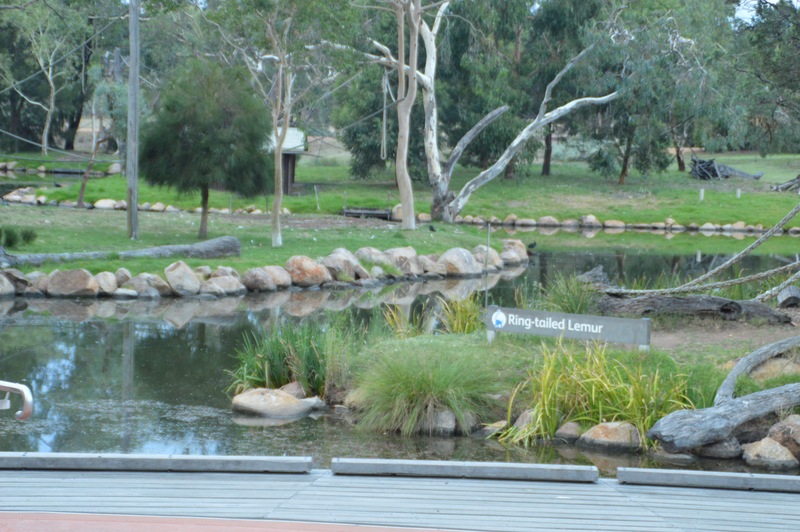 Equally impressive, are the free facilities the general public can access, without having to pay a zoo entry. A delightful children’s playground with barbecue facilities, as well as the indoor/outdoor dining provided by the zoo cafe. 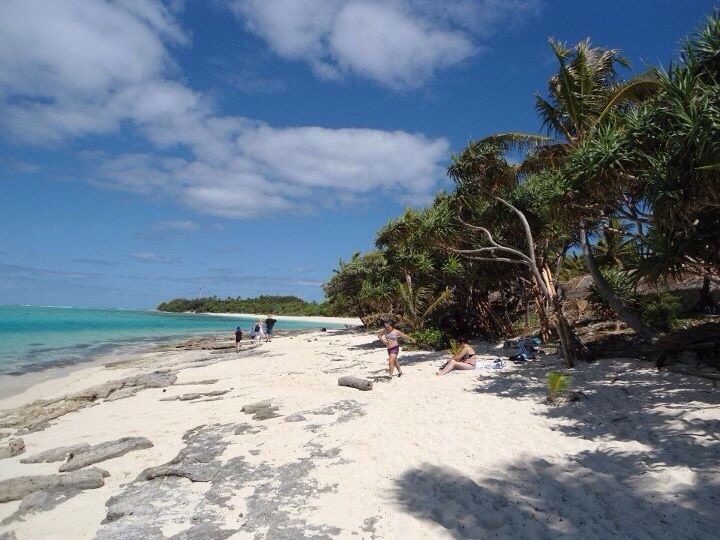 All over looking two monkey islands, which provide a constantly changing backdrop. There are not many places around who would provide all this for free. Take the time to visit, and, if time is short, keep the morning walk in mind, I would highly recommend this interesting insight into zoo life. Enjoy this view for free!